I made an appointment to see the dentist at eleven, because the tooth the dentist drilled into, which I had a pulp cap put on back on 6th August last year, has been throbbing and causing issues since Thursday night. 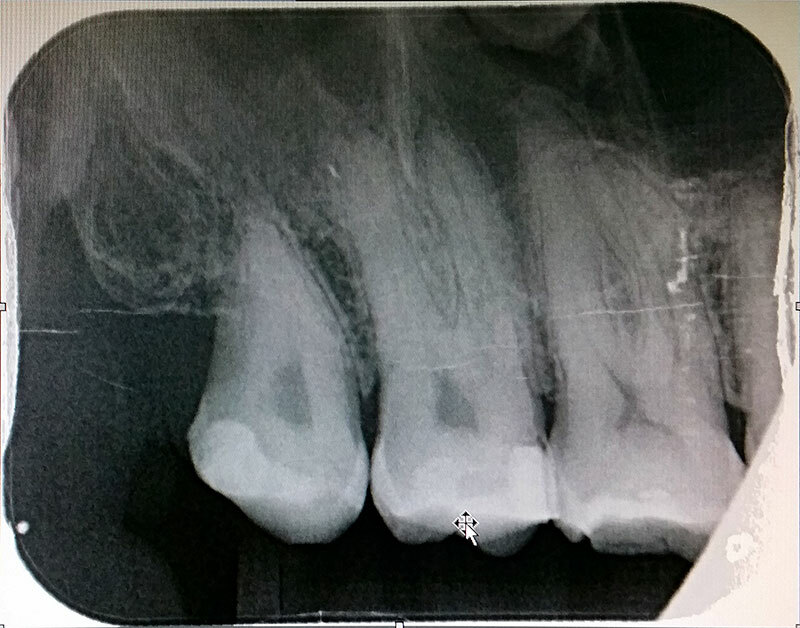 I saw Dr Jakub Lazorka, who took an x-ray and referred me to an endodontist—Dr Sam Tseng—to discuss root canal of the tooth. In the meantime he prescribed the same antibiotics I had last time—Amoxycillin 500mg and Metrogyl (metronidazole) 400mg, three times daily with food and absolutely no alcohol. I drove down to Brisbane Endodontics and made an appointment for next Wednesday. They quoted me $2,400 for the root canal, which does not include a crown—which I’ll probably need as well. Bronwen and I had Dominos pizza for dinner. Created about 3 yrs, 1 mth ago (March 14, 2016). Updated about 3 yrs, 1 mth ago (March 19, 2016).